UP will begin their home leg with a match against the Tamil team at the Shaheed Vijay Singh Pathik Sports Complex in Greater Noida. 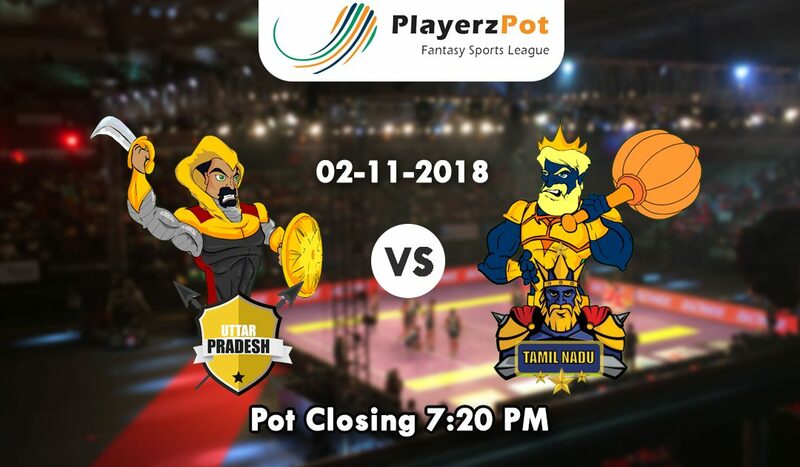 The UP team would hope to go to the highest point of Zone B standings with a win, while the Tamils would give their everything to anchor their third win of the season. The UP team is in great shape with consecutive wins and would hope to make it three out of a column with a win in tonight’s match. Their win against Delhi, that too without their Captain, Rishank Devadiga, demonstrates the determination of the group. Prashant Kumar Rai and Shrikant Jadhav have been genuinely excellent, and with their resistance gradually beginning to click, they have turned into a considerable nature of power. The main concern remaining is Sagar Krishna’s irregularity in the defense, and should be dealt with soon. They would probably begin with a similar lineup that they had against Delhi with the main change as the arrival of Rishank to the overlay instead of Rohit Kumar Chaudhary. The Tamils, yet again, have been the most inconsistent side in all of Season 6. They have recently won 2 matches out of the 8 that they have highlighted in. Their irregularity in defense is currently beginning to gradually rub off into their attack also. Their 11-point loss against Gujarat in their last match was evidenced enough of the powerlessness of their attack to score points against an all-around facilitated defense. It’s stunning to perceive any reason why Sukesh Hegde and Jasvir Singh are supported in the beginning lineup in front of Athul MS who has shown his energizing ability in whatever openings he has been given. They must replace Darshan J as quickly as possible as he has been a poor performer throughout. Ajay Thakur has been a splendid performer for the Tamils and will be expected to carry the same deadly show against the UP squad tonight. Jadhav and Rai have been good performers in the raiding unit for the UP team. Jadhav has been an active raider in consecutive matches. Prashant Kumar Rai has also done wonders in his raiding performances for the UP team and would be expected to support their Captain wholeheartedly. Both the right corner defenders have done well for their respective team. Amit though has been silent but has been stable in his performances. As a defensive all-rounder who operates in the cover position for the UP has added a couple of critical points for the UP squad. UP team has all the armor to win the evening’s match against the Tamil brigade. This Diwali, welcome savings with PlayerzPot. Click here. Play your favorite sport, Win and Earn with PlayerzPot.